Yet again the Home Office has come under fire for its treatment of a European citizen, this time for denying an EEA residence card to the American husband of an Irish national living in Northern Ireland. The case of Gemma Capparelli and her husband was reported in the Guardian, and later in the Belfast Telegraph and Irish News. Both stories ramp up the outrage at the Home Office’s treatment of this case. Even Sinn Féin politicians have weighed in, accusing the UK government of a failure to recognise the terms of the Good Friday Agreement. So what happened, and is it really as bad as they say? Of course it is hard to know the complete facts from the stories, but what we do know is that Gemma Capparelli is a 36-year-old Irish national, born and brought up in Northern Ireland. She recently returned to Northern Ireland after a decade abroad, with her American husband Dominic and their 10-year-old son. She is not currently working (or was not at the time), the relevance of which will become clear. People born in Northern Ireland are generally both Irish and British citizens, with many choosing to hold one or the other passport depending on which nation they identify with. At some point, presumably in recent years, Ms Capparelli took the highly unusual step of formally renouncing her British citizenship. As we have seen on this blog before, albeit in a very different context, renouncing one’s citizenship in the hope of gaining an immigration law advantage is a drastic step that can have serious consequences if it goes wrong — as this case shows. Entry to the UK for spouses under the domestic immigration rules (Appendix FM), which apply to British citizens and settled persons in the UK, is notoriously tough. The couple seem to have researched the law in depth and come to the conclusion that they could not satisfy those rules. They then appear to have alighted upon the more liberal EU free movement rules which would (theoretically) enable the family member(s) of an EEA national to migrate to the UK without having to meet the domestic rules. But what if Ms Capparelli has never actually exercised any free movement at all? EU law does not allow someone to claim to be an EU migrant, exercising free movement rights in their home country, just because they have a second EU nationality. That is the effect of an oft-cited judgment of the Court of Justice of the European Union, about the dual British and Irish national Mrs McCarthy. Like Ms Capparelli, she had lived in the UK all her life. Mrs McCarthy was unsuccessful in an attempt to use her Irish citizenship to secure a visa for a Jamaican husband. The couple seemed to have thought of that too. Mr Capparelli cites McCarthy as the reason for his wife’s renunciation of her British citizenship, according to the Guardian. This, in my view, goes well beyond the level of knowledge a non-lawyer would typically have so it may be that the couple had some creative legal advice on this point. Mr Capparelli made an application for an EEA residence card, confirming his right to live in the UK as the family member of an EU citizen, on form EEA(FM). This was refused, on the ground that Ms Capparelli had not presented evidence that she could sponsor her husband under EU law. Contrary to popular belief, EU citizens do not have an automatic right to live in the UK (and so bring in family members). They must be a “qualified person”, which would includes workers, or have the status of “permanent residence”. Ms Capparelli wants to be treated as an Irish national, as is her right under the Good Friday Agreement. So far as I can tell from the reports, the Home Office is not denying her this right: she herself can live in the UK and can be treated as an Irish national. Her legal problem is that being treated as an EU citizen does not mean being treated as an EU migrant for the purposes of immigration law. Present herself as an EEA national who is either a ‘qualified person’ or a person who has acquired permanent residence within the meaning of the EEA Regulations. Thus she could avail herself of EU free movement rights and easily bring in a spouse. Present herself as an Irish national who should be treated as a ‘settled person’ in the UK. Thus despite her not being British, she can avail herself of the spouse visa rules that apply to British and settled persons, ie the rules at Appendix FM. Now we start to see the problem. The couple don’t actually want option 2 because that would just bring them back under the rules that would have applied to her prior to her renunciation of British citizenship. As for option 1, Ms Capparelli was apparently not working, nor in any other way a qualified person within the meaning of the EEA Regulations. Nor was she a permanent resident of the UK within the meaning of the EEA Regulations — that is to say, having clocked up five years of residence as a qualifying EU migrant and not having been absent from the UK for two years or more (see regulation 15). And so her application was, rightly it seems, refused. As the Guardian puts it: “permanent residency is a category assigned to migrants, not natives”. Now, Ms Capparelli maybe would have been a permanent resident at some stage in the past. But I think it is unlikely if we assume that she renounced her British citizenship at some point after McCarthy, i.e. after 2011, a time which she was abroad. If she was a dual citizen during her time living and working in Belfast, McCarthy would bite and she would not be able to obtain any rights under EEA law. In any case it certainly appears, on the timeline presented in the newspaper stories, that even if she did have permanent residence when she left the UK to live abroad, she would have lost that status because of her decade abroad. So, in fact, it looks like the Home Office did actually get the strict law right here. But that is just about all it got right. This case remains an example of everything else in the typical immigrant’s journey that the Home Office continues to get so badly wrong. Was it really necessary for the application just to be refused and punted back to them without a plain English explanation as to why, in the particularly unique circumstances of an Irish national living in Northern Ireland, the application had to fail, and without any offer of assistance in pointing them to the correct form or method of application? It looks like the Home Office is now reaching out to the Capparellis directly following all the negative publicity (surprise surprise). If it did not have such a painfully compartmentalised approach to casework and applications, perhaps this scenario could have been avoided. How nice it would be if immigration officers in any Home Office department were empowered to deal with any type of application, or at the very least to pass the case on to an appropriate colleague in another department (they can certainly do that where the consequence of a refusal is the initiation of removal action). Or maybe even if they were empowered to just have a dialogue with visa applicants and, god forbid, actually provide a public service in helping them to navigate the complexities of our immigration system. The Upper Tribunal is set to hear an appeal raising similar issues later this month. 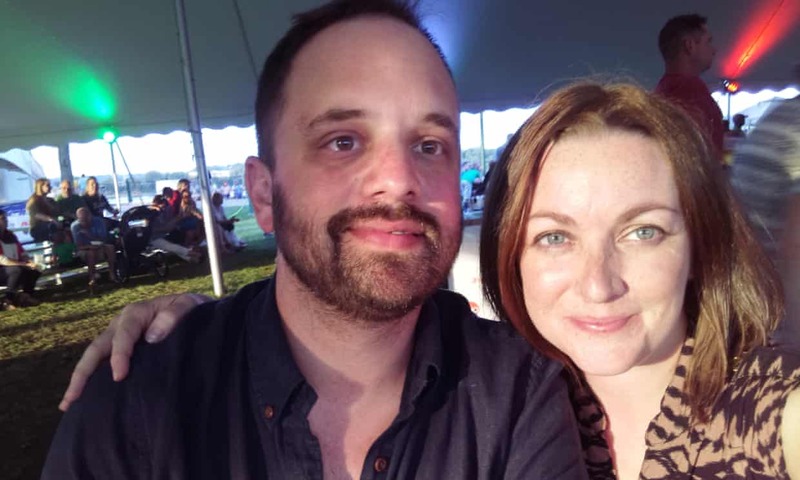 American citizen Jake DeSouza and his wife Emma DeSouza, who is from Northern Ireland, successfully argued in the First-tier Tribunal that they could rely on the more generous EU family reunification rules. Ms DeSouza has never renounced British citizenship but argues that under the Good Friday Agreement, she is entitled to say that her sole nationality is Irish. under the terms of the Good Friday agreement people of Northern Ireland are in a unique position within the United Kingdom. The British and Irish governments recognised the birthright of all the people in Northern Ireland to identify themselves as Irish or British or both, as they may so chose. The constitutional changes effected by the Good Friday Agreement with its annexed British-Irish Agreement, the latter amounting to an international treaty between sovereign governments supersede the British Nationality Act 1981 in so far as the people of Northern Ireland are concerned. He or she is permitted to chose their nationality as a birthright. Nationality cannot therefore be imposed on them at birth. The appeal will be heard on 26 November.